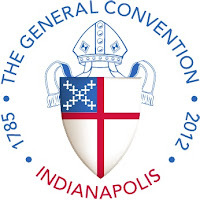 Scott Gunn, Episcopal priest and director of Forward Movement, has posted all of the below on this blog called "Seven Whole Days" that will be covering the events and developments of the 77th General Convention of the Episcopal Church USA, which will begin on July 5th. Included are links to the Blue Book, or program of the convention, a document of proposed resolutions with and without the reports on each. You may wish to bookmark these as he suggests for quick reference if you wish to follow closely the things to be discussed, debated and decided upon for the next three years. Please also be prayerful for the deputies and bishops who will be in attendance voting on these issues. Thank you. 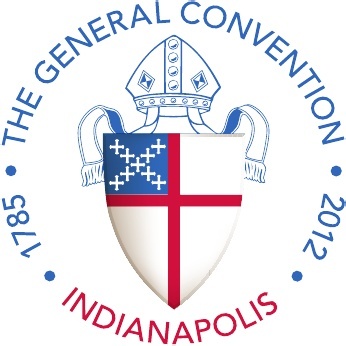 So here you go: every resolution that will be considered by General Convention 2012. Please note that there are more resolution on the way. I will update this file until the deadline for submitting resolutions, early in General Convention. “Blue” Book resolutions only, minus the reports – A001 through A155. Everything else – A156 and up; all B, C, and D resolutions. As of today, goes up to A167, B012, C107, and D020. Last updated 26 June 2012. Bookmark this page and come back. When I get my hands on new resolutions, I’ll update the “everything” file and change the date. To track the progress of legislation or to see how the resolutions get amended, use the wonderful system at the General Convention website. Seriously, this is a fantastic website. The General Convention Office did a great job, and pretty much everything you’d want to know about General Convention and its legislation is readily available. What was the only thing missing? A giant PDF, now available here at 7WD. For what it’s worth, check out the index of GC 2012 resolutions with the 7WD official position and each one, provided I have gotten around to blogging it. ALSO, go here for the General Convention Directoryto find out even MORE! As I’ve been blogging my way through the “Blue” Book and other resolutions for General Convention, I had been wishing I could get all of the non-”Blue” Book resolutions in one file. It just makes it easier to keep track of them. Thanks to some help (from someone who wishes to remain anonymous, I think), I have made a combined file of resolutions. Maggi Dawn, Chaplain at Robinson Chapel, Cambridge University, UK, is, in my view, an amazing voice in today's Anglican Church and emergent theology. Her essay, Naming God, was written early this month and published in the Yale Divinity School's "Marquand Reader". Another approach is to remove gendered language from liturgy altogether, and instead to engage neutral descriptors for God. One of the most-used replacements for Father-Son-Spirit is Creator-Redeemer-Sustainer, which attempts to retain a three-fold character without attributing gender to God. Yet here again the language has theological limitations. It is a seemingly Trinitarian formula, but these three actions properly belong to God in Unity; to assign them to three functionary names is, by implication, to deny the unity of God in creation or redemption. But perhaps worse, used in exclusion, this kind of language describes God in terms of function rather than relationship. It is fundamental to Christian theology that God, while not a corporeal being, is not impersonal. God is not an “it”, and the language of job-descriptions doesn’t serve to address God adequately. To read the rest of this essay please visit Maggi's blog here. I don't know how many bishops have wives or husbands or partners that blog on their take of current events and social justice issues. I don't know about the others but I do know about wife of Bishop Michael Hanley of the Diocese of Oregon. Marla Hanley is a blogger who speaks her mind and doesn't sit on a fence of make or imagination. Like me, you are either on one side of particular issues or you are on the other. Recently a retired priest friend of mine from my area in southern Oregon posted a picture of a fence near a tree. 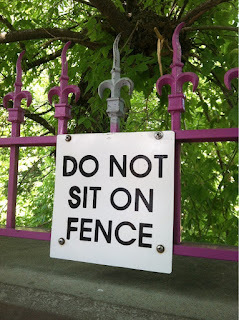 On the side of the fence was very large sign that said, DO NOT SIT ON FENCE. Part of being able to choose one side or another is determined by a state of being. Which states of being? Educated or Ignorant are the two definitions I would pick. The ones who do sit on the fence could careless of it. 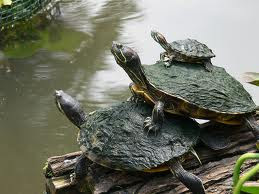 These fence sitters won't commit one way or another, so they remain silent. It is the once who remain silent who encourage the Ignorant that they are right about an issue and the other side is wrong, in spite of the facts and proofs. Marla is no fence sitter. I encourage you to read her blog greenbough here. 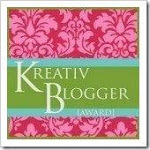 RevGalBlogPals: Friday Five: More Randomness: http://come-to-the-table.blogspot.com. 1. What religion/faith besides yours captures your curiousity and why? Hinduism: because there is so much I don't know about it; the minutae of it and its influence on the history of India. 2. What is the first or most memorable pop song you ever learned as a kid? I Don't Know How To Love Him from Jesus Christ Superstar. ...God would be an ever-changing rainbow alternating with bright warm light. 4. If you were going to make a sandwich right now for lunch, and you magically had all the items you need for it, what would that sandwich be? 5. How are you doing? Really, how are you? Behind the "I'm OK" is really an "All right" that's frayed on the end of all the letters. It is s stressful time job wise [as in no job], financially [enough to pay property taxes this fall and some cash each week], purposeful [with my volunteer work] and occasionally relaxing [when the sun does shine, I'm in the yard/garden or reading outside]. I am content but also sad for many reasons which I will not name here, but small things bring me quiet joy. I have friends, which is a kind of wealth all in nice people packages, and have met new people at Rotary, which I was invited to a few weeks ago and like it. That's probably more than most people will answer but that is me and there i am. Bonus: What are you enjoying/loving right now? Listening to Pabla complain and talk to me in Kittehese. Also the wideawakeness drinking coffee at 8:31pm at night will give you and make you do Friday Fives at 1:17am PST. Heh!